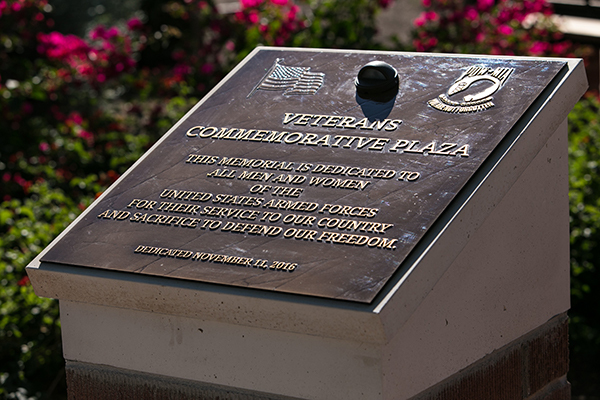 The Veterans Commemorative Plaza (VCP) is the only veterans’ memorial in Phoenix’s Northwest Valley honoring United States veterans of all military branches. 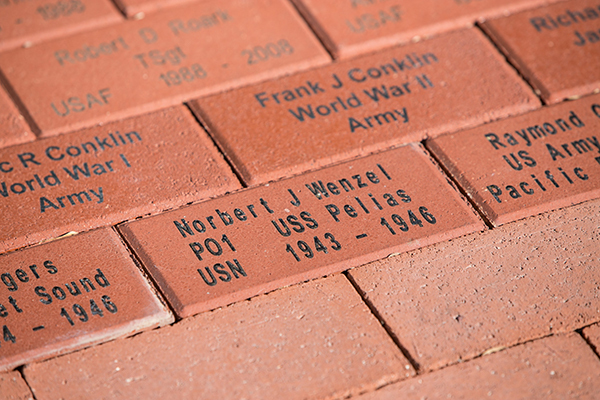 Any person who served in the U.S. military at any time in history is eligible to have an engraved paver. The VCP is located at the southeast corner of Founders Park Boulevard and Pershing Street in Surprise. The Veterans Commemorative Plaza was the brainchild of Marley Park Leadership’s Project Committee who wanted to honor military service members who served or are serving in the United States Armed Forces. A planning group was formed with assistance from the Marley Park Community Association, Inc. Located at the southeast corner of Founders Park Boulevard and Pershing Street in Surprise (check it out on Google Maps), the VCP is for the greater Northwest Valley community. Anyone can become a VCP sponsor or purchase a paver. Additionally, anyone who served in the US military at any time is eligible for an engraved paver. 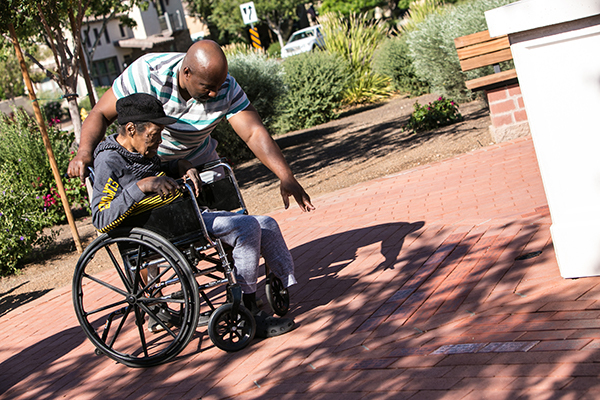 The VCP is a ‘living’ memorial growing each year with newly purchased pavers. Purchased pavers will be installed in the VCP on Armed Forces Day in May (purchased prior to April 1) and Veterans Day in November (purchased prior to October 1). 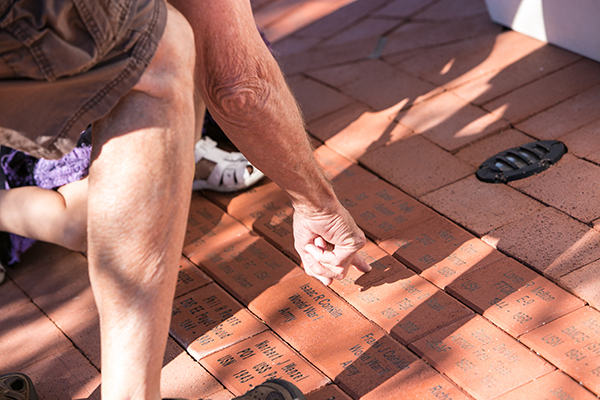 There are more than 2,000 pavers still available for engraving. The VCP design is deliberate and significant, representing the unity of all five military branches. Throughout history, our military heroes have worked together to keep our country safe. 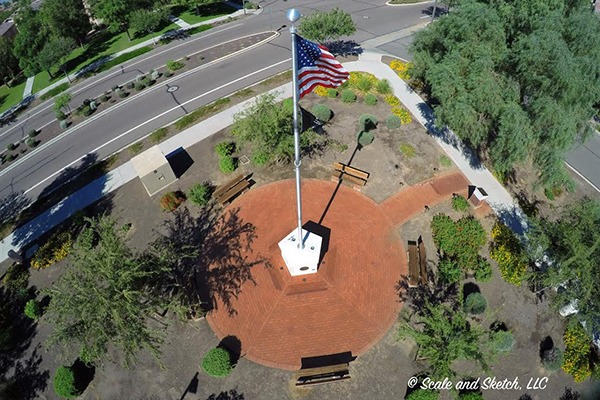 It features a 30-foot flagpole with a pentagonal base. Each side of the base displays an emblem for one of the five branches of service. The Department of Defense has a prescribed order of precedence: United States Army, United States Marine Corps, United States Navy, United States Air Force, and United States Coast Guard. Brick pavers inscribed with the names of military service members are placed around the flagpole forming the Circle of Honor. The circle represents an unbreakable border and supports the flag. The pathway leading to the flagpole has brick pavers inscribed with the names of VCP sponsors, both individuals and businesses. The pavers are red, the pentagonal base is white, and the sky is blue to represent the colors in the American flag. Additionally, the VCP incorporates the “small town” design found across Marley Park. May anyone purchase a paver? Anyone may purchase a Veteran or Sponsorship paver. This memorial is dedicated to all service members who served in the US military. The Veteran paver will be placed in the Circle of Honor and the Sponsorship paver will be placed in the pathway leading to the Circle of Honor. May I purchase more than one paver? Yes. A separate form is required for each paver. When purchasing multiple pavers, request you use the same Contact name for each paver. This will aid in processing the request and in placement of the pavers in the VCP. What payment methods may I use to purchase the paver? You can purchase a paver online (button at top of page) using your credit card. You can also print a hard copy of the form and pay by check. Make check payable to: Marley Park Community Association, Inc. In the note section on the check, please reference Veterans Commemorative Plaza – VCP Sponsorship. Mail the check along with a copy of the request form to: Marley Park Community Association 4236 N. Verrado Way, Suite 201, Buckeye, AZ 85396, Attention: Accounting Dept. – VCP. No. Contributions to the Veterans Commemorative Plaza are NOT tax deductible. When will my paver be added to the VCP? Purchased pavers will be installed in the VCP on Armed Forces Day in May (purchased prior to April 1) and Veterans Day in November (purchased prior to October 1). 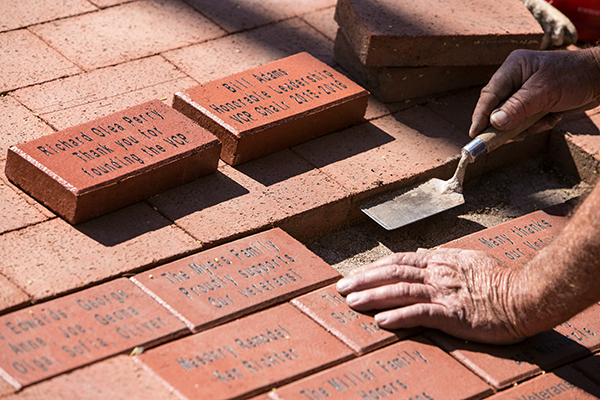 How many Veteran pavers and Sponsorship pavers will be sold? The original design includes approximately 2,500 Veteran pavers and 250 Sponsorship pavers. If the need arises to accommodate more pavers, we will consider the option at that time. How is the paver location determined? May I ask for a special location in the Circle of Honor? Placement of the paver in the VCP Circle of Honor is determined by the date is was purchased/received (not by the veteran’s military branch of service). The placement of the paver begins at the center of the circle and spirals outward. Each of the five branches/sections in the Circle of Honor will have veterans from all services (i.e. a Navy paver could be placed in the Army section). This placement is deliberate to symbolize the collaboration across all military services to support the flag. We cannot guarantee special placement of pavers; however, we will make every effort to keep family pavers together if the purchaser is consistent across multiple forms. How do I designate a Veteran KIA, MIA, or POW on the request form? For KIA Veterans, please use the Branch of Service abbreviation, followed by KIA, date killed in action. Example: USMC KIA 11-12-1968. For MIA Veterans, please use the Branch of Service abbreviation followed by the year entered into the Service, dash, MIA. Example: USN 1965-MIA. For Veterans, who were also a POW, please use the Branch of Service abbreviation, followed by the years in the service, followed by POW. Example: USAF 1965-1976 POW. List is alphabetical by last name. Thank you for your contribution to the VCP. If you have any questions about the location of your paver, please contact us at billandespy@cox.net or (623) 466-8832.